I think my fascination with jewelry goes back to my grandparents because they were lapidaries and spent hours polishing stones and making jewelry for us all. In my teen years I had a beautiful locket made with a tigereye stone and I absolutely loved it! 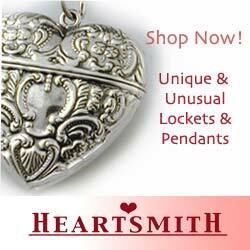 I haven’t owned a locket for a number of years, so when I saw the beautiful items available at Heartsmith, LLC it struck a cord with me! They have such a beautiful array of lockets available – from Fun&Funky lockets to Family lockets and everything inbetween. They also sell pendants, men’s jewelry and bracelets in a wide variety of styles and metals. I received a Renee Vignette Style Locket to review and, when the package arrived, I knew I was in love! The locket came in a pretty purple box (wrapped in purple tissue paper) and inside was a small purple bag that held the necklace. The care taken to ensure my locket arrived safely was obvious! The locket itself is simply stunning! 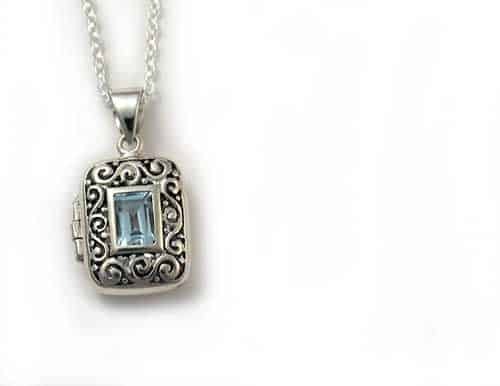 The grillwork on the pendant is beautiful and the topaz is gorgeous! I also liked the chain because it suits the locket well and make the whole piece come together. I opened the locket and found that the hinge appears quite durable. The only thing I would have liked more was if it was slightly larger because I’m not sure how I’m going to find a photo small enough to fit in the locket, though I will try! Overall, I was beyond impressed with my Renee Vignette Style Locket and with HeartsmithÂ on the whole! 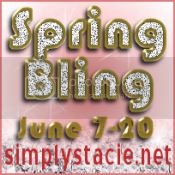 Their variety of jewelry is wonderful and their pieces come in a range of prices so you can choose a piece at a price that works for you! They also appear to have sales regularly so you never know what hidden gem you might find (my locket, for example, was $42 USD but is now on sale for $34.50, which I think it is an amazing price for this locket)! I’d recommend Heartsmith, LLC to anyone who is looking for great service and the choice of an amazing array of products!